Rangpur Range comprises of 8 districts namely Rangpur, Gaibandha, Nilphamari, Kurigram, Lalmonirhat, Dinajpur, Thakurgaon and Panchagarh. 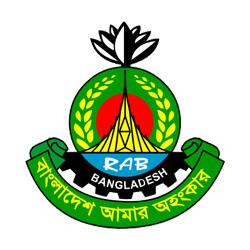 One Range Reserve Force(RRF) is also is there in Rangpur. Under the Rangpur division, the district of Rangpur is bordered on the north by Nilphamari district, on the south by Gaibandha district, on the east by Kurigram, and on the west by Dinajpur district. Rangpur town is the divisional headquarter. It has 02 circles, 08 police stations: Kotwali, Taragonj, Bodorgonj, Gonagachora, Mithapokor, Pirojpur, Pirgacha and Kawnia; 03 outposts, 02 investigation centers and 01 camp. Nilfamari was established as a district in 1984 under Rajshahi division and now functioning under Rangpur division. 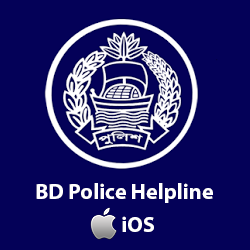 It has six police stations: Nilfamari, Saidpur, Jaldhaka, Kishorgong, Domar, and Dimla. The historical places of the district include Nilsagar, tomb of Hazrat Pir Mohiuddin (kundupukur), Saidpur airport, Uttra EPZ (Export Processing Zone), Teesta Barrage (Partly shared by Lalmonirhat district), Leprosy Hospital. The district police is working to maintain law and order and establish peace and social tranquility. Lalmonirhat district with an area of 1240.93 sq km is surrounded by Rangpur district on the south, Kurigram district on the east and Nilphamari and Rangpur districts on the west. The district has 6 rivers -- Tista, Dharla, Saniajan, Sarnamati, Ratnai and Sati. The biggest irrigation project of the country, Tista Barrage Project (length 615 m) is located at Doani of Hatibandha upazila. Subadar Monsur Khan Mosque (known as Nidaria Mosque), Sindhumati dighi, Hussain Sarabor (dry pond), Harano are some of the places with historical interest.Lalmonirhat district was constituted on the 1st day of February, 1984. The district police began functioning on that very day under the supervision of Police Super AHM Nuruddin Khan. The district has Lalmonirhat, Patgram, Hatibandha,Aditmari and Kaligonj police stations. Dinajpur was once a part of the ancient state of Pundrabardhwan. It was established as Dinajpur district in 1786. Its previous name was Ghoraghat district. It is located to the northern part of the country and falls under Rangpur division. It is bounded by Thakurgaon and Panchagarh districts in the north, Gaibandha and Joypurhat districts in the south, Nilphamari and Rangpur districts in the east, and the state of West Bengal, India in the west. It is a plain land district with rivers like Dhepa, Punarbhaba and Atrai. It is famous for its archeological resources. Thirteen police stations, five investigation centers, two immigration check posts and one in-service training center have comprised the district police administration. 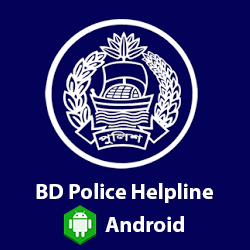 The police stations are Kotowali, Chirirbondor, Birol, Parbotipur, Birganj, Bochaganj, Kaharole, Khanshama, Fulbari, Birampur, Nababganj, Ghoraghat and Hakimpur. The police force in Dinajpur is working round the clock to maintain law and order, since this district is adjacent to the border. Panchagarh was a thana under Jalpaiguri district of West Bengal during the British rule. It was under Dinajpur district at the time of the partition of 1947 and was elevated to a district in 1984. It is a district of Rangpur division in the extreme northern part of Bangladesh, bounded on three sides by 288 km long Indian border. It has Darjeeling district on the north, Jalpaiguri and Kuchbihar districts on the north east, west Dinajpur and Purnea district on the west, Dinajpur and Thakurgaon districts on the south, Nilphamari district on the east. The existence of fifteen garhs (fortifications) has hitherto been traced in Panchagarh. The contribution of Panchagarh police at the liberation war is noteworthy. The Officer-in-Charge of Debiganj thana hoisted national flag of Bangladesh on 27 March at thana compound. He distributed arms and ammunitions among the guerrillas to intensify the fight against Pakistanis. He visited India to procure more arms for the freedom fighters and participated actively in a number of fierce fighting with the Pak-army. On 1 June 1971 Pakistani military brutally killed him near Brujerdanga in Debiganj thana. Panchagarh district has 5 police stations. They are Panchagarh sadar, Boda, Atowari, Tetulia and Debiganj. Thakurgaon district is in the north-east corner of Bangladesh, it is a part of the Himalayan plain land. Thakurgaon subdivision was established in 1860 and in 1984 Takurgaon subdivision was split off Dinajpur and became a separate district (i.e. Thakurgaon District). The district consists of 2 municipalities, 18 wards, 32 mahallas, 5 upazilas, 51 union parishads, 643 mouzas and 643 villages. Total area is 1809.52 square kilometers. Thakurgaon district has 6 police stations. They are Thakurgaon, Baliadangi, Ranishonkoil, Pirganj, Horipur and Ruhia. Gaibandha was established as a district in 1984. 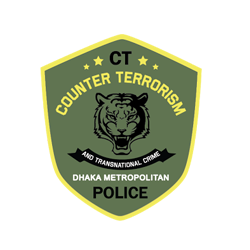 It has two cirlces (A circle and B circle) and 7 police stations.They are Gaibandha sadar,Sadullahpur, Sundarganj,Polashbari,Gobindganj,Shaghata and Fulsori.It has also 06 investigation centers,01 river outpost at Kashibazar and 01 town post. Kurigram police started its journey in 1984. It has two circles (A circle and B circle).It has 11 police stations,01 investigation center and 01 town outpost. The police stations are Kurigram Sadar, Bazarhat, Fulbari, Nogeshori, Burunggamari, Olipur, Chilmari, Roumari, Rajibpur, Dushmara and Kochakata. RRF, Rangpur started its activities in Febuary, 2012. RRF, Rangpur has no permanent land and establishments yet. It is presently sharing the available facilities with the district police Rangpur.